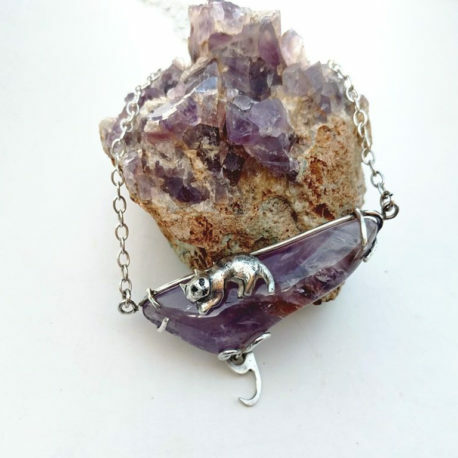 A personalized cat initial necklace made of sterling silver and stone: large triangle raw amethyst, on a 50 cm long cable sterling necklace. 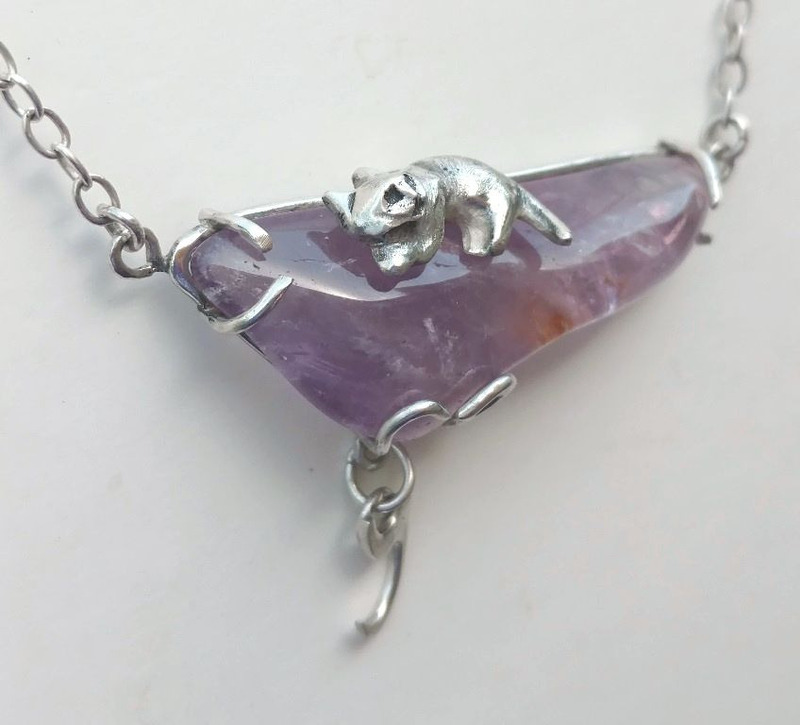 A very personal letter necklace, a touching pet loss gift. The silver cat figure in this sterling cat pendant has been cast from sterling silver using Delft casting technique. 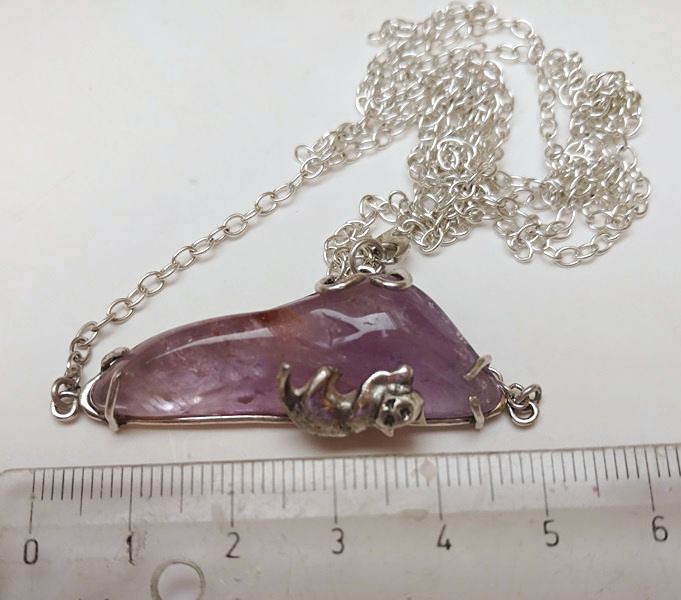 The 17 mm cat is resting peacefully on a gorgeous triangle shaped raw amethyst, 45 mm long and 20 mm wide. 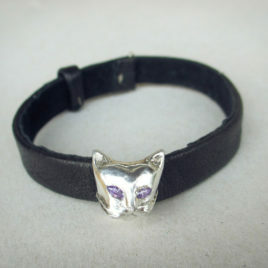 The total size of the cat pendant is 50×25 mm (2×1 inch roughly). 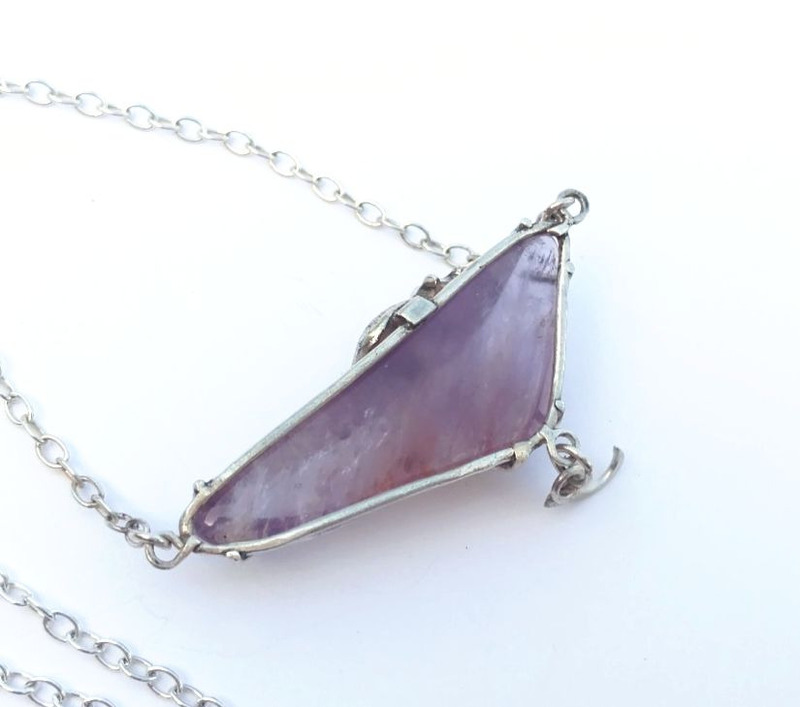 The raw amethyst is semi-transparent and has a deep purple color. 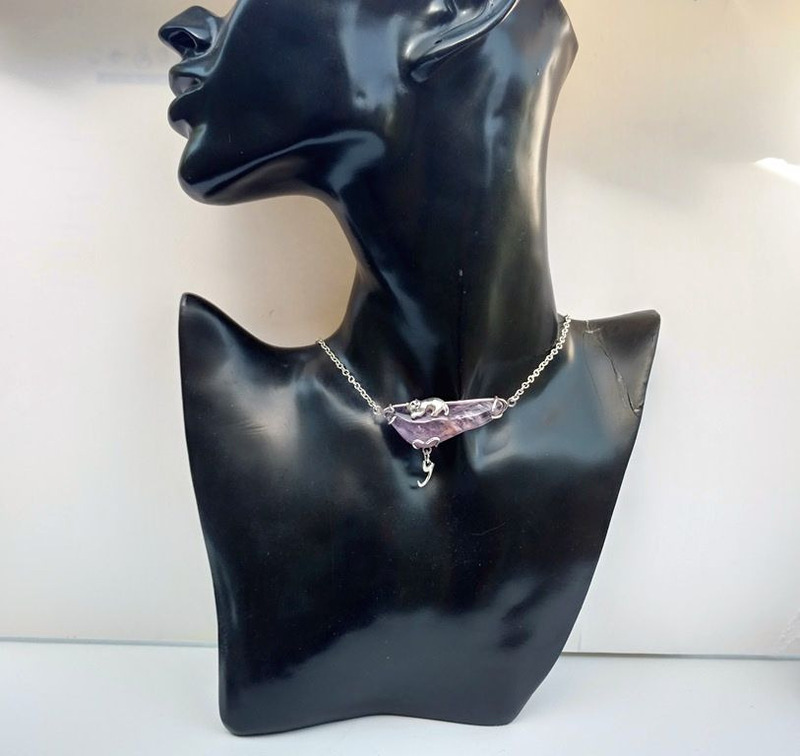 Amethyst is known as the stone of everlasting love and faithfulness. And who gives us faithful, life-long and unconditional love? Our cats do. My own cat is approaching the age when parting comes very near. I know how it feels. This is why I decided to dedicate this personalized cat initial necklace to our furry friends who have just left us or are about to leave. 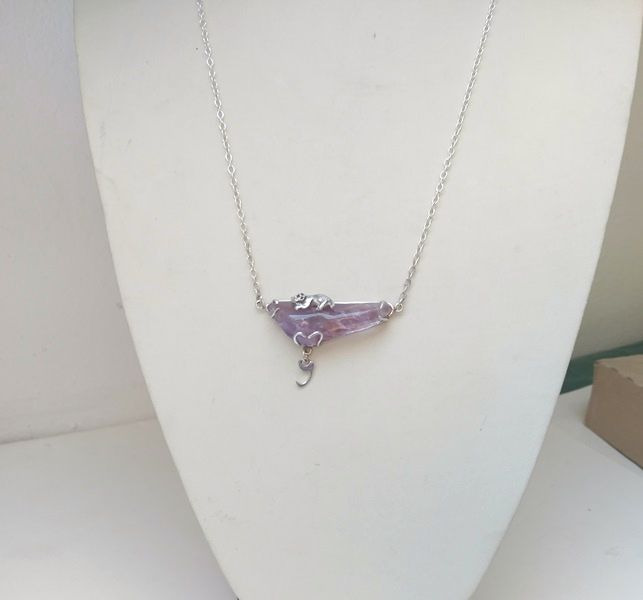 The first letter of your cats’ name will be attached to the amethyst pendant. If it is a “J” by chance, I have it already. All other letters will be cut from the sterling silver sheet in the same letter design. 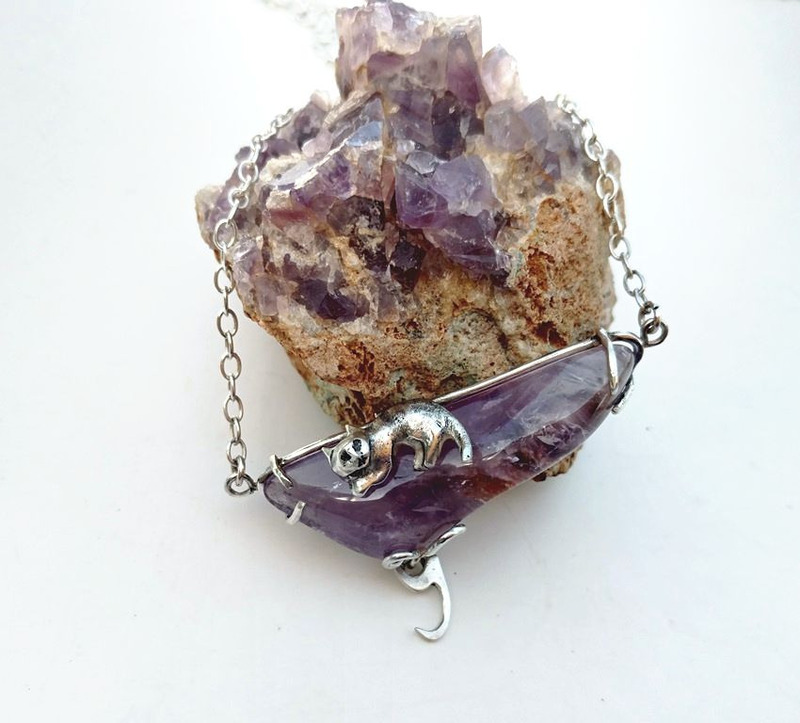 When worn on the neck the pendant turns slightly so that the cat figure comes more to the front and the letter – to the back, so that it remains a bit discreet and private. The 3 mm wide sterling cable chain is 50 cm long. This length is the ‘golden middle’ since it comes just above the T-shirt neckline. To be finished with a sterling lobster clasp. Please let me know the desired LETTER and allow me 3-5 days to finalize the order. 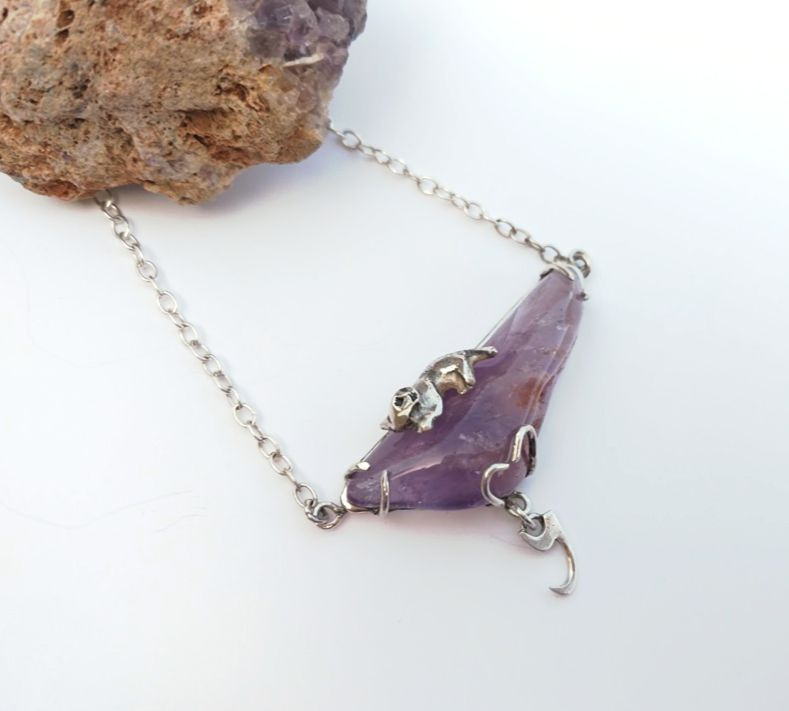 If no letter selected you will receive it with a J.
Purple Amethyst has been highly esteemed throughout the ages for its stunning beauty and legendary powers to stimulate, and soothe, the mind and emotions. It has always been associated with February, the month the Romans dedicated to Neptune, their water-god, and is the traditional birthstone of that month. It is the stone of St. Valentine and faithful love and signifies ecclesiastical dignity as the Bishop’s Stone. It carries the energy of fire and passion, creativity and spirituality, yet bears the logic of temperance and sobriety. 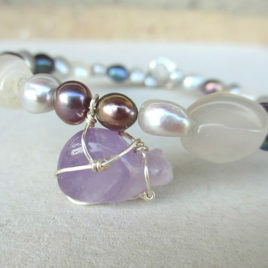 It is one of my favorite stones: my personal experiences with Amazing amethyst are described here.